Halifax Regional Police plan to address low employee engagement numbers during the second phase of their 10-year strategic plan. Police staff presented a report to the board of police commissioners on Monday, outlining updated goals for the next three years of the plan, which was originally introduced in 2015. Additions include a set of goals in response to the 2018 employee engagement survey, which tracks municipality-employee relationships. 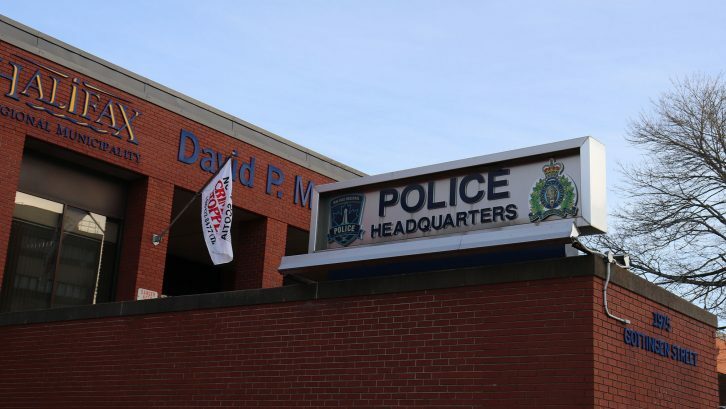 The HRP consistently reported some of the lowest engagement numbers of any Halifax Regional Municipality employee units, suggesting a lack of satisfaction among police with the HRM. However, police scored about 10 per cent lower than the average municipal employee in several survey questions. Only 33 per cent of HRP employees expressed confidence in the senior management, compared to 48 per cent of municipal employees. Thirty-nine per cent agreed they are given a fair opportunity for job training, compared to 59 per cent of municipal employees. Police were also less likely to agree they could achieve their career goals in the HRM. In overall employee engagement, which reflects confidence in the HRM as an employer, police scored five per cent lower than the average municipal employee. “We’ve identified some areas here; there are some things that I look at and go ‘wow, there are some concerns here,'” said Deputy Mayor Tony Mancini after the report. Police Chief Jean-Michel Blais told commissioners a committee has been formed to investigate the low engagement numbers. The committee will present its solutions at the next meeting. In response, the second phase of the plan will include a review of engagement survey numbers and employee recognition process, with a goal of improving morale and confidence in leadership among police. These engagement goals are only a small part of the strategic plan’s second phase. Over the next three years, HRP plan to evaluate the force in three main areas: reduction and response to crime, safe communities and effective and innovative police services. Reinhardt said many goals are building upon or being carried over from the first phase of the project, which gathered improvement feedback from HRP employees and community members. This next stage will focus on evaluating the collected information and coming up with steps to improve HRP operations and strategies. “It really is what takes us to the next level,” said Reinhardt. A final report on the plan’s second phase will be voted on by the board of commissioners at the next meeting on Feb. 11. Phase 2 of the plan is expected to come into effect on April 1.